Rose Turner's study into reading habits has hit the headlines around the globe. A Kingston University postgraduate research student has produced a study that examines the effects of reading and watching television on social behaviour - concluding that literature lovers have the edge over their remote control-loving counterparts when it comes to being nicer people. Rose Turner's study, under the supervision of Dr Fatima Felisberti, featured 123 adults of various ages participating in an anonymous online survey. They were asked to select their preferences for books, television and plays, alongside being tested on their interpersonal skills, which included how much they considered others' feelings and their desire to help those around them. The results revealed that readers had greater awareness and empathy for other people's feelings, while those who preferred watching television came across as less friendly and less understanding of others' views. 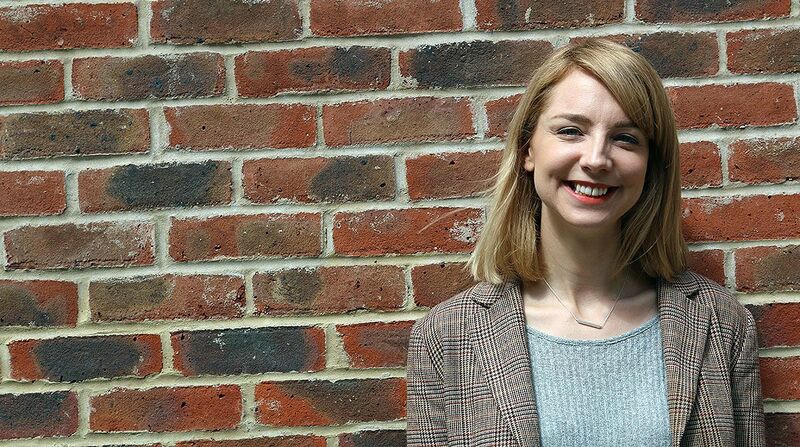 Following a presentation at The British Psychological Society summarising her study, Rose's research has hit the headlines around the globe, with people fascinated by the psychological dimensions of reading. "The interest in the study has been a very pleasant surprise and it has been great to see that it has generated such a buzz," she said. "Reading is a universal pastime and we regularly hear about parents being encouraged to read to their children from a young age to help introduce them to language and develop their vocabulary. This study demonstrates that the different ways that people engage with fiction can impact their emotional intelligence and empathic behaviours." Research into fiction habits reveals reading may make us kinder. Image:REX/ShutterstockWhen quizzed over why readers are more likely to develop better social skills than those who consume other forms of fictional media such as television or films, Rose explained that reading is an individual experience that makes people think deeper about characters. "When we read we go by what is simply written on the page and we have to fill in the gaps as we go along, giving us a chance to develop empathic skills as we try to understand what a character is going through. Whereas when we watch something, we are provided with a lot of that information already," she said. Along with completing her PhD in psychology at Kingston University, Rose is an actress with a number of theatre credits to her name and also works in the field of occupational psychology. "I run group exercises in social care settings, schools and prisons that involve people using role-play techniques to develop their skills. I have seen first-hand how stories and the notion of becoming another character can have a positive impact on a person's wellbeing. It's not just a source of escapism but also a chance to imagine how somebody else sees the world." Rose's decision to incorporate her work experience into her academic research has been praised by her current PhD supervisor, Professor Frédéric Vallée-Tourangeau from the School of Social and Behavioural Sciences. "Rose's background in drama and acting, as well as her experience in occupational settings provide her with a unique set of skills and insights that help her formulate original research questions that make her PhD work so innovative," he said. "When the science of psychology helps ordinary people beyond the scientific community better understand their lives, the contributions are that much more important," he emphasised. While her research is yet to be peer reviewed and fully published, the early interest in the study continues, with Rose set to present her work at the prestigious American Psychological Society later this summer. She will also be showcasing her academic expertise by taking part in an online competition to explain the psychological science of relationships to schoolchildren. "My role as an academic is to share my findings in an interesting way that members of the public can relate to. To have gathered this much interest in my thesis already is really encouraging and I look forward to exploring more aspects of the relationship between fictional worlds and our real-world psychological processes in the future," she added. Find out more about studying Psychology at Kingston University.